Using electron microscopes, it is possible to image individual atoms. Scientists at TU Wien have calculated how it is possible to look inside the atom to image individual electron orbitals. An electron microscope can’t just snap a photo like a mobile phone camera can. The ability of an electron microscope to image a structure – and how successful this imaging will be – depends on how well you understand the structure. Complex physics calculations are often needed to make full use of the potential of electron microscopy. 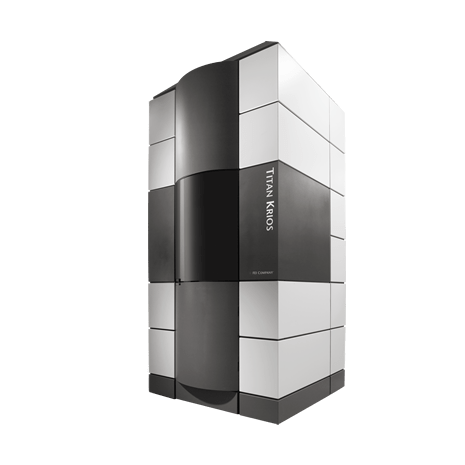 An international research team led by TU Wien’s Prof. Peter Schattschneider set out to analyse the opportunities offered by EFTEM, that is energy-filtered transmission electron microscopy. The team demonstrated numerically that under certain conditions, it is possible to obtain clear images of the orbital of each individual electron within an atom. Electron microscopy can therefore be used to penetrate down to the subatomic level – experiments in this area are already planned. The study has now been published in the physics journal Physical Review Letters. We often think of atomic electrons as little spheres that circle around the nucleus of the atom like tiny planets around a sun. This image is barely reflected in reality, however. The laws of quantum physics state that the position of an electron cannot be clearly defined at any given point in time. The electron is effectively smeared across an area close to the nucleus. The area that could contain the electron is called the orbital. Although it has been possible to calculate the shape of these orbitals for a long time, efforts to image them with electron microscopes have been unsuccessful to date. The team used simulations to investigate how this technique could help reach a turning point in the study of electron orbitals. While doing so, they discovered something that actually facilitated the imaging of individual orbitals: “The symmetry of the graphene has to be broken”, says Stefan. “If, for instance, there is a hole in the graphene structure, the atoms right beside this hole have a slightly different electronic structure, making it possible to image the orbitals of these atoms. The same thing can happen if a nitrogen atom rather than a carbon atom is found somewhere in the graphene. When doing this, it’s important to focus on the electrons found within a narrow and precise energy window, minimise certain aberrations of the electromagnetic lens and, last but not least, use a first-rate electron microscope.” All of these issues can be overcome, however, as the research group’s calculations show. The Humboldt-Universität zu Berlin, the Universität Ulm, and McMaster University in Canada also worked alongside the TU Wien on the study in a joint FWF-DFG project (“Towards orbital mapping”, I543-N20) and a FWF Erwin-Schrödinger project (“EELS at interfaces”, J3732-N27). Ulm is currently developing a new, high-performance transmission electron microscope that will be used to put these ideas into practice in the near future. Initial results have already exceeded expectations. 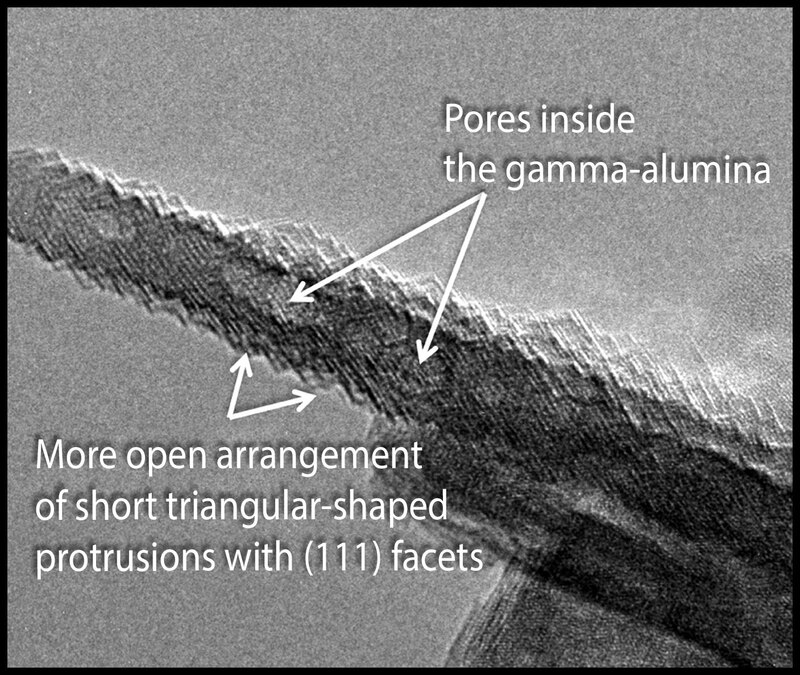 CLAIRE image of Al nanostructures with an inset that shows a cluster of six Al nanostructures. Soft matter encompasses a broad swath of materials, including liquids, polymers, gels, foam and – most importantly – biomolecules. At the heart of soft materials, governing their overall properties and capabilities, are the interactions of nano-sized components. 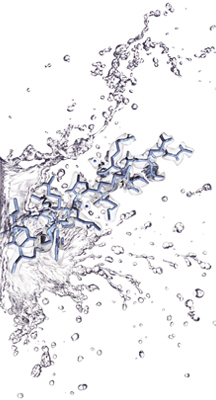 Observing the dynamics behind these interactions is critical to understanding key biological processes, such as protein crystallization and metabolism, and could help accelerate the development of important new technologies, such as artificial photosynthesis or high-efficiency photovoltaic cells. Observing these dynamics at sufficient resolution has been a major challenge, but this challenge is now being met with a new non-invasive nanoscale imaging technique that goes by the acronym of CLAIRE. CLAIRE stands for “cathodoluminescence activated imaging by resonant energy transfer.” Invented by researchers with the U.S. Department of Energy (DOE)’s Lawrence Berkeley National Laboratory (Berkeley Lab) and the University of California (UC) Berkeley, CLAIRE extends the incredible resolution of electron microscopy to the dynamic imaging of soft matter. 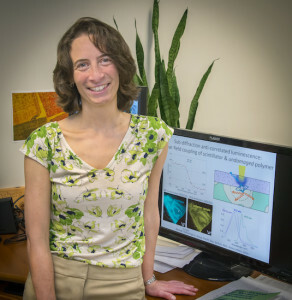 Ginsberg holds appointments with Berkeley Lab’s Physical Biosciences Division and its Materials Sciences Division, as well as UC Berkeley’s departments of chemistry and physics. She is also a member of the Kavli Energy NanoScience Institute (Kavli-ENSI) at Berkeley. She and her research group recently demonstrated CLAIRE’s imaging capabilities by applying the technique to aluminum nanostructures and polymer films that could not have been directly imaged with electron microscopy. 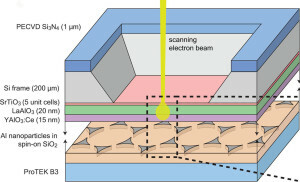 Ginsberg and her colleagues get around these problems by employing a process called “cathodoluminescence,” in which an ultrathin scintillating film, about 20 nanometers thick, composed of cerium-doped yttrium aluminum perovskite, is inserted between the electron beam and the sample. 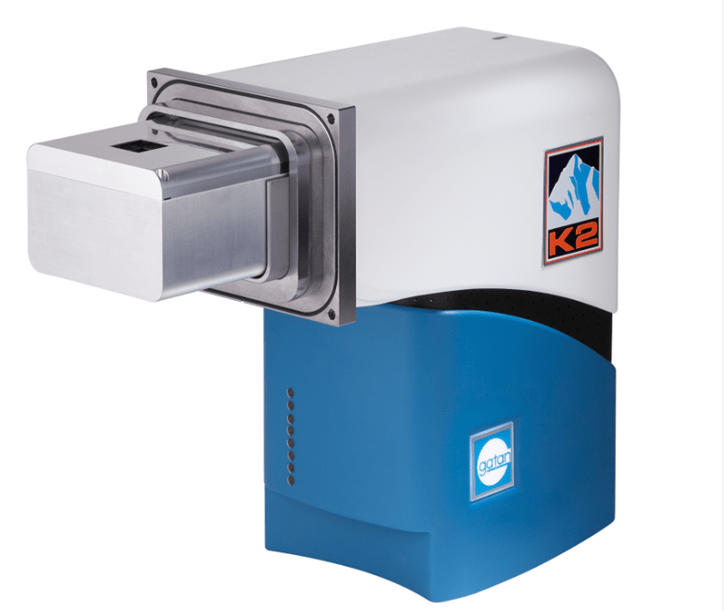 When the scintillating film is excited by a low-energy electron beam (about 1 KeV), it emits energy that is transferred to the sample, causing the sample to radiate. This luminescence is recorded and correlated to the electron beam position to form an image that is not restricted by the optical diffraction limit. 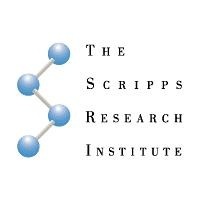 Developing the scintillating film and integrating it into a microchip imaging device was an enormous undertaking, Ginsberg says, and she credits the “talent and dedication” of her research group for the success. She also gives much credit to the staff and capabilities of the Molecular Foundry, a DOE Office of Science User Facility, where the CLAIRE imaging demonstration was carried out. A paper describing the most recent work on CLAIRE has been published in the journal Nano Letters. 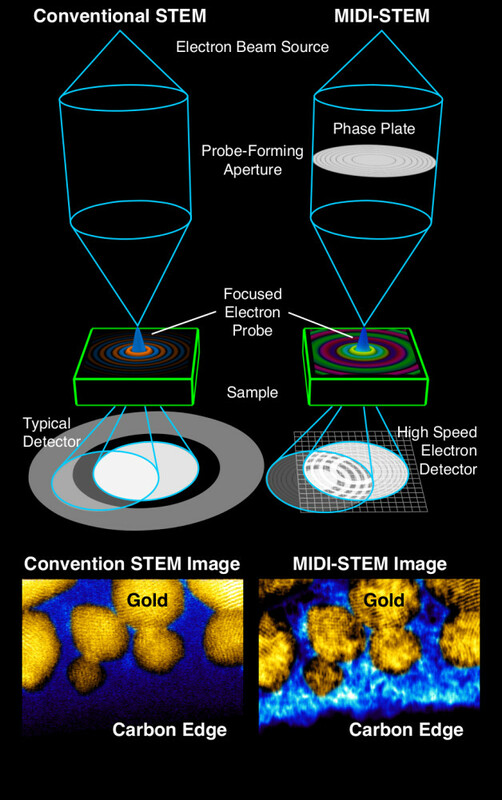 The paper is titled Cathodoluminescence-Activated Nanoimaging: Noninvasive Near-Field Optical Microscopy in an Electron Microscope. Ginsberg is the corresponding author. Other authors are Connor Bischak, Craig Hetherington, Zhe Wang, Jake Precht, David Kaz and Darrell Schlom. 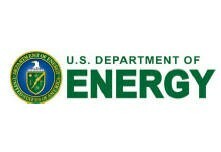 This research was primarily supported by the DOE Office of Science and by the National Science Foundation. “Results: Neither smooth nor disordered, gamma-alumina nanoparticles are corrugated with tiny pores inside, according to scientists at Pacific Northwest National Laboratory. Using a powerful transmission electron microscope, the team obtained ultrahigh-resolution images and chemical data about the particle’s surface. They found that the particles were covered with ridges made from a more open, yet symmetrical, arrangement of atoms. The open arrangement on the surfaces, notated as (110), covers 70% of the nanoparticle. The surface of the plate-like particles is far from smooth, according to a new transmission electron microscopy study conducted by Pacific Northwest National Laboratory and the FEI Company. By understanding the structure and function of tiny gamma-alumina particles, scientists are taking crucial steps to optimizing and realizing new useful properties for these materials. ‘If we can learn about the surfaces, then we can tailor them and make them more efficient in catalytic applications,’ said Dr. Libor Kovarik, who led the imaging study as part of PNNL’s Chemical Imaging Initiative. Why It Matters: Reducing refineries’ energy demands or car and truck emissions requires efficient catalysts on durable support materials. The supporting material must withstand severe temperature and pressure changes. Gamma-alumina has been studied extensively, but its atomic arrangement has not been established because of the challenge of getting a detailed view of this complex material. Accurately describing the atomic structure is crucial for understanding and taking advantage of the best properties of gamma-alumina. “The enormously diverse complexity seen amongst individual species within the animal kingdom evolved from a surprisingly small gene pool. For example, mice effectively serve as medical research models because humans and mice share 80-percent of the same protein-coding genes. The ‘rearranged’ state of the lobe A (yellow) of the horseshoe-like TFIID transcription factor enables TFIID to bind with DNA (green) and start the process by which DNA is copied into RNA. The key to morphological and behavioral complexity, a growing body of scientific evidence suggests, is the regulation of gene expression by a family of DNA-binding proteins called ‘transcription factors.’ Now, a team of researchers with the U.S. Department of Energy’s Lawrence Berkeley National Laboratory (Berkeley Lab) and the University of California (UC) Berkeley has discovered the secret behind how one these critical transcription factors is able to perform – a split personality.